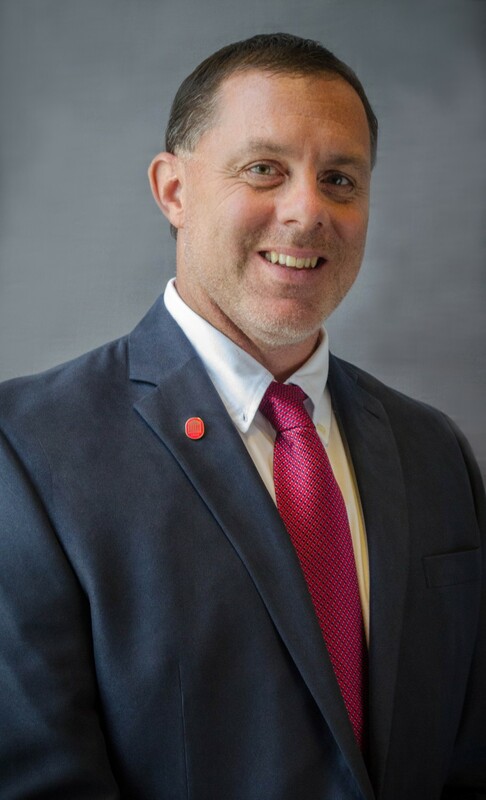 Gazel Giles serves as president of Staff Council for a governance body that is the voice of over 2000 staff members at the University of Mississippi. In this role, she serves as the representative of staff members for all campus locations. She is responsible for leading discussions and bringing attention to staff concerns with Staff Council members and the Chancellor. She organizes all meeting agendas, acts as the official spokesman for the council, and makes executive decisions without council approval when necessary. She presides over all meetings and attends monthly meetings with the Chancellor. Giles is a native of Oxford, Mississippi who has been involved in Staff Council for many years. She was instrumental in working with the Office of Pre-College Programs to establish a financial assistance program for children of staff. She also revived Staff Council’s Children of the Staff Scholarship program, and currently chairs the review committee. She joined the staff of the University of Mississippi in 2012, first as a receptionist in Facilities Planning, then in 2017, she moved to the Division of Outreach as a program coordinator. Her responsibilities includes planning, developing and managing all programs, recruiting potential instructors, providing assessment reports, scheduling facilities, and additional duties that are assigned. Her educational background includes a B.A. in Psychology from the University of Mississippi and it was there she developed her passion for higher education. She completed her Master of Arts in Higher Education in May 2017 and is currently working on additional computer hours. Giles is also a certified mediator. She attends Springfield Missionary Baptist Church in Abbeville, Mississippi and has two children Patrick and Makyah. 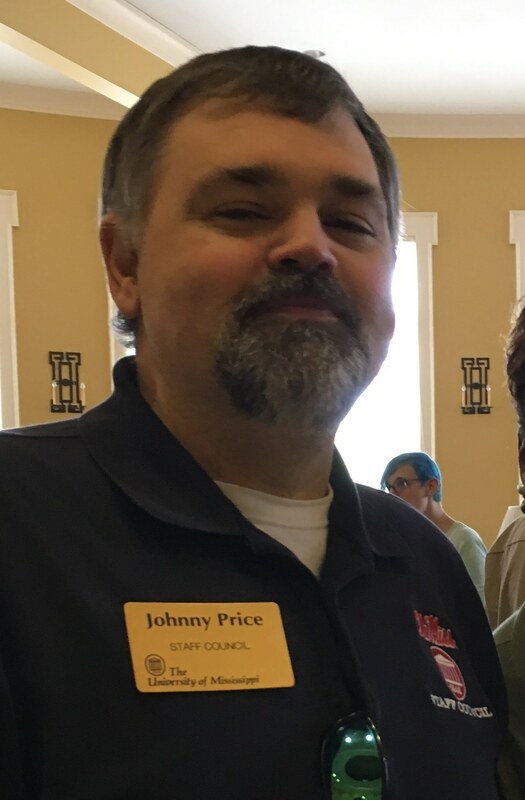 Johnny Price serves as past president of Staff Council. In this role, he serves on the Executive Council, assists with the transition of new officers, performs other duties as assigned, and attends monthly meetings with the Chancellor. The president-elect of Staff Council prepares to assume the role of president, executes the duties of the president in the president’s absence, works with the secretary on maintaining a record of absences, contacts members who violate the absence policy to ask if they want to continue as a staff council member, arranges for replacement of representatives as necessary, coordinates Staff Appreciation Week by serving as chair of the Staff Appreciation Committee, & attends monthly meetings with the Chancellor. Danielle Noonan serves as Staff Council treasurer. Her duties include managing the finances and financial records of the Staff Council to ensure compliance with applicable regulations, maintains and presents monthly treasurer’s reports to the Staff Council to ensure accurate financial statements are maintained, processes Council invoices for payment, assists the textbook scholarship administrator in managing finances, & attends monthly meetings with the Chancellor. Danielle joined the university in 2015 as a staff assistant in the Department of BioMolecular Sciences, School of Pharmacy. 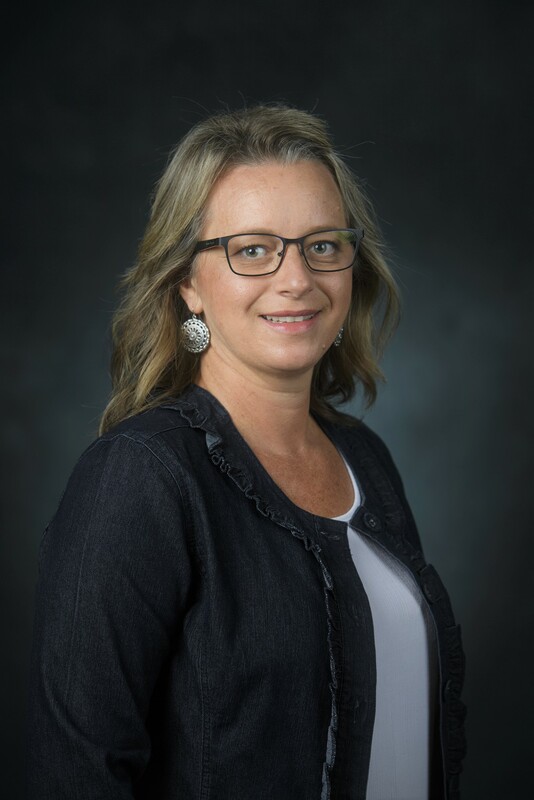 Her responsibilities include providing support to faculty and staff, assisting with departmental budgets, assists personnel with purchasing, coordinating day-to-day operations and maintaining the various department websites. She is married to Dr. Brice Noonan, Associate Professor of Biology. They have 2 children: Alivia and Caden. 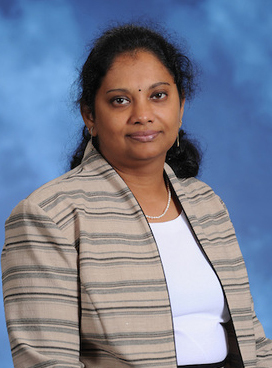 Dr. Premalataha Balachandran oversees Staff Council’s Staff Textbook scholarship program. She announces scholarship application deadlines for each semester, processes and evaluates all the applications for eligibility and sends award mail to the recipients. 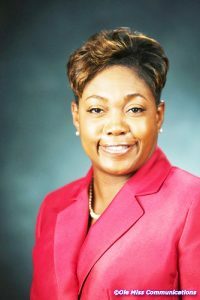 She also coordinates with the Ole Miss Bookstore, issuing vouchers, with Contractual Services handling payments to the bookstore and also with the Office of Financial Aid. In addition, the administrator maintains a database of applicants and complete records of accounts to comply with the University Auditors office. She attends monthly meetings with the Chancellor. Premalatha has served at National Center for Natural Products Research (NCNPR), School of Pharmacy, University of Mississippi for 14 years. She joined NCNPR as a Post-doc in 2002. In 2005, she was appointed as an Associate Research Scientist and was promoted to the current position of Senior Scientist in 2015. As a Senior Scientist, Premalatha’s research interests include, discovering of new active drugs from the plants that contribute to human health benefits, especially those that exhibit anti-cancer and immune enhancing properties. In partnership with UMMC-Cancer Institute at Jackson, MS, she searches for more effective approaches in cancer therapy that will include both modern medical practices in addition to traditional medicine from various countries. One of the main focuses of her research deals with the development of new molecular biological screens that target signal transduction pathways known to be involved in the expression of cancer. In overall, her research contributes to the efforts of fighting against life-threatening cancers. Premalatha has authored approximately 30 publications that include research and review articles in high impact journals and also book chapters. She also serves as a reviewer for many journals. Premalatha received a Bachelors of Science degree in Chemistry and a Master of Science in Medical Biochemistry from University of Madras, Chennai, India. She also obtained Ph.D in Medical Biochemistry from the same university. She is married to Karthikeyan Rathinavelu, Owner and President of Thik and Thin Constructions LLC., They have 2 children, Keerthin and Sagan. Deetra Sims-Wiley serves as the conduit between the UM Staff Council and UM staff to report events via website and social media channels (Facebook, Twitter, Staff Council website, UM Today, etc.). Her responsibilities include managing the social media elements to promote staff awareness and foster interaction, education, engagement, and discussion regarding policies and issues significant to constituents through the use of online communities. She attends monthly meetings with the Chancellor. Wiley has served the University of Mississippi since May 1999. 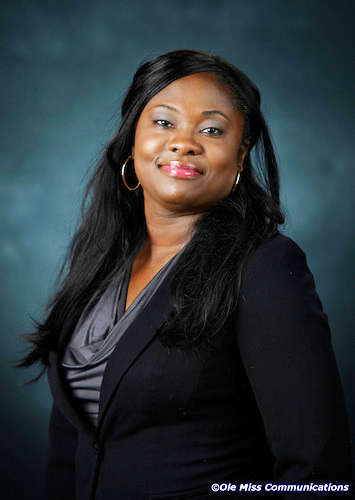 She serves as an applications analyst and business communications specialist in the Office of Information Technology. Her duties include teaching SAP training classes and assigning related authorizations, editing language for technical projects, writing technical articles/requested proposals, testing projects, providing latest language updates, etc. Other duties include but are not limited to managing of the SAP Support website, coordinating IT related events, marketing/advertising, etc. Deetra received her Bachelor of Arts in English (1992), Master of Arts in English (1997), Master of Arts in Higher Education (2012) and Doctor of Education in Higher Education (2018) from the University of Mississippi. She also holds an Associate of Arts in English/Communication from Coahoma Community College (1991). Her Motto is “Believe, Begin, Become!” Some of her hobbies include acting, motivational speaking, socializing. She is married to Rev. Derell A. Wiley, Pastor of Sykes Chapel Church in Lambert, MS. They have 3 children: Nya, Tyler, and Amber.